From court documents related to the FOIA requests of Judicial Watch to the Commerce Department. 1. This affidavit is based on my own personal knowledge. 2. I have been a resident of Texas for all of my life and still reside there. 3. Up to the death of Ronald H. Brown, former Secretary of the U.S. Department of Commerce, I was a business partner and/or close personal confidant for over seven years. During this period, I spoke with Ron, as I used to call him, daily, and frequently several times per day. I was thus intimately knowledgeable about both his personal and professional activities. I also had contact with his family, including his son, Michael, and his daughter in law, Tamara, who worked for me for approximately five years. 4. During the course of my relationship with Ron, I was privy to his activities, and the activities of the people who worked or were in contact with him at Commerce, and elsewhere. Since Ron died on April 3, 1996, I have also been in contact and spoken with many persons who worked or were in contact with him at Commerce, and elsewhere. 5. After the elections of 1992, Ron became Secretary of Commerce. Shortly thereafter, Ron decided that he would focus the majority his activities at Commerce on trade missions. 6. In the fall of 1994, I became aware, through Ron and Jim Hackney, Ron’s Counselor at Commerce – with whom I was and remain close – that a group called Judicial Watch filed Freedom of Information Act (FOIA) requests to obtain information and documentation about the trade missions. Both Jim and I encouraged Ron at the time to give due consideration to the seriousness of these FOIA requests, as there were politically sensitive issues surrounding the trade missions. 7. After the elections of 1994, and the Democrats’ loss of Congress, I became aware, through my discussions with Ron, that the trade missions were being used as a fundraising tool for the upcoming Clinton-Gore presidential campaign and the Democratic Party. Specifically, Ron told me that domestic companies were being solicited to donate large sums of money in exchange for their selection to participate on trade missions of the Commerce Department. Ron expressed to me his displeasure that the purpose of the Commerce trade missions had been and were being perverted at the direction of The White House. 8. In the spring of 1995, when this Court ordered production of documents to Judicial Watch, Ron became very concerned and he thus began to discuss with me the strategy of handling the defense of the Judicial Watch lawsuit. 9. I further learned through discussions with Ron that The White House, through Leon Panetta and John Podesta, had instructed him to delay the case by withholding the production of documents prior to the 1996 elections, and to devise a way not to comply with court’s orders. 10. In late fall 1995, after several rulings or statements by this court, Ron himself became more involved in the defense of the case. Specifically, he told me that he had decided to personally review any documents that might be damaging to the Clinton Administration, or in any way be sensitive. Ron told me that he was very worried about the potential damage of the Judicial Watch case to the Clinton Administration. 11. In early 1996, Ron showed me a packet of documents, about 1 inch thick, which he removed from his ostrich skin portfolio. Ron told me that these documents had been provided to him from Commerce Department files as part of the collection efforts to produce documents to Judicial Watch in this case. I reviewed the top five or six documents, which were on Commerce Department letterhead under the signature of Melissa Moss of the Office of Business Liaison. What I reviewed comprised letters of Ms. Moss to trade mission participants, each of which specifically referenced a substantial financial contribution to the Democratic National Committee (DNC). My response was immediate and decisive. I told Ron he must instruct that production of these documents and all responsive documents be immediate and I advised him to mitigate his own damages by releasing Ms. Moss from her duties and admonishing her for using the offices of the Commerce Department for partisan political fundraising. 12. I then saw Ron call the Commerce Department and he spoke with Melissa Moss. He told her that he wanted to meet with her later. I do not know if the meeting ever took place and I had no further discussion with Ron, because of his untimely death, about the documents I had reviewed. 13. I have reviewed the deposition video of Melissa Moss and, based on my knowledge, she has not told the truth in response a number of questions concerning Commerce Department trade missions, as well as other representations she has made under oath. 14. I would like to come forward and tell this court everything I know about the failure to produce documents to Judicial Watch and this court. I am concerned, however, that if I do so, the Clinton Administration, and more particularly its Justice Department, will try to retaliate against me. As a result, I look to this court for guidance on how I can come forward and tell all I know in the interest of justice. 15. Because of a fear for my personal and my family’s well-being and safety, I ask that this affidavit be kept under seal and that a mechanism be set up by the court for me to come forward to tell all I know. From the Judge Lamberth Memorandum Opinion. On March 14, 1998, Hill was indicted on criminal charges. for her cooperation with Judicial Watch. urged him to “slow pedal” the document search. See id. at 85-86. Staff) on several occasions. See id. at 85-88.
assembled. See id. at 89-90. DOC’s unlawful behavior is adequately explored. Tagged Court documents and Nolanda Hill testimony, Hillary Clinton plan and sale of Commerce Department seats for political donations, Hillary lied Ron Brown died, Judge Lamberth: "DOC...destruction of potentially responsive documents in the office of...Secretary Brown"
Hillary Clinton conceived the plan to sell seats on Commerce Dept. trade missions in exchange for political contributions as revealed by Judicial Watch and included in the House Judiciary Committee Evidentiary Record December 1998.
the direction of The White House. missions before they went overseas? You were aware of that? testimony speak for itself–Harold Ickes. Anybody else? . . .
President of the United States was, at least tangentially. Misconduct by Clinton Administration lawyers. 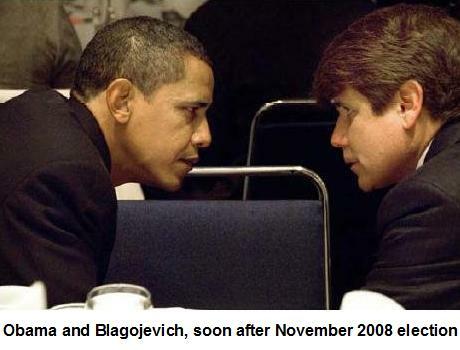 “Speaking without notes, Blagojevich said he had been too ambitious and recognized he erred by fighting too many battles in public. “This can be a beginning to make amends for the past,” he said while looking directly into the camera. The former governor said it pains him that his actions have hurt his family and blamed himself for putting his loved ones in that situation. “I’m a very different person,” he said, concluding his remarks. More Hillary Clinton pay to play with Russians, Russia reset relations, AID Russian technology and get PAID, Coordinated by Secretary Clinton and Minister Lavrov, Hillary provided access to our technology and now accuses them of hacking??? More Hillary Clinton pay to play with the Russians.